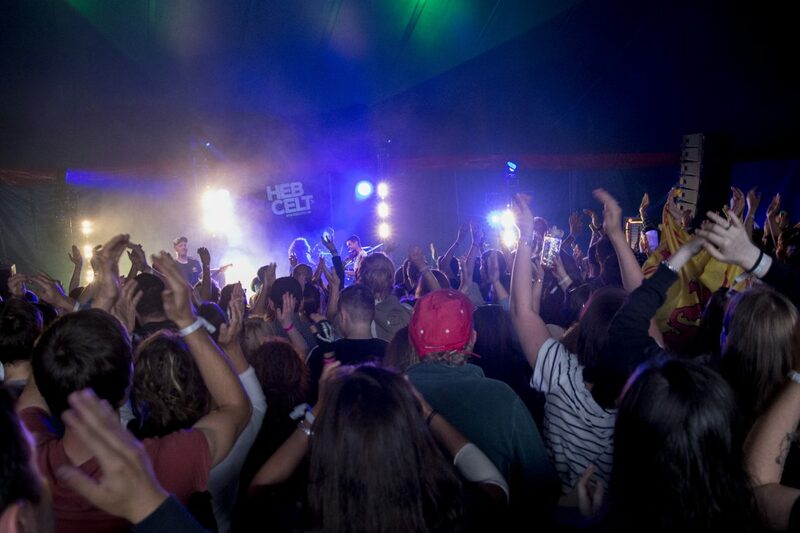 How good was the Saturday at this year’s HebCelt?! The line-up was great, the weather was incredible and with all that going on everyone was just in the best mood. It was superb. For me, the Waterboys absolutely smashed it. I know they weren’t completely to everybody’s taste but I absolutely loved them. When they played Fisherman’s Blues in their encore, the roar in the tent! What a response… and what a song! It was an incredible moment and I’m struggling to explain that in any more detail. It’s very much a part of what makes Stornoway a special town for music and is a throwback to a legendary Waterboys performance in the Town Hall years ago (they’ve always had a big fan base here). But it’s also simply one of the best rock folk songs to have ever been written. What’s not to love. They played other belters too. The Whole of The Moon amongst them, obviously, but I think my personal favourite might have been (Rosalind) You Married The Wrong Guy — it rocked, big time, and I thought I might burst. But, to be fair, all the songs were great. They sang the old folk number, Raggle Taggle Gypsy-o — and the lyrics went nicely with that hippy festival vibe that had been created at the start of the festival by Dougie Maclean (“What care I for my house and my land? What care I for my money-o? I’d rather have a kiss from the yellow gypsy’s lips / I’m away wi’ the raggle taggle gypsy-o!”). Another of their older numbers, How Long Will I Love You?, was very sweet and warmed the heart. Other than that, though, this was big time rock and roll — Mike Scott laying down that marker early on with a strong version of Roll Over Beethoven. The Waterboys are known for having an evolving sound and it did seem to me that this show was a much heavier rock sound than the last time they played HebCelt. Then, in 2003 — if my memory serves me correctly — they definitely sounded more folky. The line-up for the band has changed many times over the years and it’s very much Mike Scott’s gig as he is the original Waterboy. However, his whole band were impressive in their own right and special mention has to be made of keys player Brother Paul from Memphis, who was fantastic to watch as well as to listen to. He really got into it but they all knew how to put on a show. As for Mike Scott himself? He owned it. There was one point during You Married The Wrong Guy when I was struck by his complete poise, sense of timing and self-possession. He sang a line on his own and just let it hang there a moment before the whole band came in hard behind him. Now that’s a rock star (and he looked the part too). Someone with nothing to prove but a whole lot of performance to give. This appearance of ease was something I’d noticed earlier in the evening, actually, in Colin, who was playing the Main Stage under his new moniker, C.Macleod. I’d been keen to catch Colin because we know him well — he plays in another band with my hubby (big shout out to the Dunringles!) — and I wanted to see how he would do on the big stage in his home town. He was really good and obviously enjoyed it. I’ll say more about Colin in another blog but for now I’ll just say that I was very relieved to get to hear him. The reason being that I’d taken my kids with me on Saturday… and when I have the kids with me anything can happen! Michael, seven, has been before — see this blog from last year about that — but it was my first time taking James, three, who is a bit of a law unto himself so I wasn’t sure how it would go. In the end, though, they were good as gold. It was an even nicer experience than I’d hoped for. We went in just before 5pm so were just in time for the Let’s Circus show. We hadn’t been to the bouncy castle yet and the fact that James stayed put, and watched the whole hour-long show in the Magpie tent (so named because it’s black and white), tells you how good it was. A fascinated James, top and on the left, above, keeps his eyes on the show. Noah Maciver (in disguise) turns to his dad to express his amazement. My pics. It was nice to see a local girl, ‘Miss Mia’, take part in the show, with her performance on the hoop. Mia Hartley-Oliver has literally joined the circus — she’s going with them to other island shows and her proud mum was watching beside us. Good for Mia. There are a number of incredible artists (most of them very bendy) in the Let’s Circus troupe. I think my favourites are the unicycling duo from Japan — the expressions on her face are hilarious — but the kids love the Ballunatic, pictured above. Somehow, this cove manages to get himself completely inside a balloon, which he contorts into all sorts of shapes, including a chicken and a doggie (complete with a wagging tail/right foot). After the circus, there were the obligatory turns on the bouncy castle, followed by burgers and cheesy chips sitting on the grass. Not the healthiest of options but it doesn’t hurt once in a while and the boys enjoyed it (me too, to be honest). Our wee HebCelt day out. My boys. My pic. It was a lovely moment, actually. Parents of toddlers might relate to that feeling of “I’ve got away with this” — there were no tantrums, no meltdowns, no whining and no sudden bids for freedom in the opposite direction. They were so well behaved that I didn’t have to be ‘bad mammy’ and, paired with the sun, the chilled-out vibe and the music in the background, that made for a very good day. The weather was so good that I still can’t quite believe how good it was. Was there ever such a good day in the festival’s history? I think it might have been a record. And the perfect song for this perfect day came later, courtesy of Elephant Sessions on the Islands Stage. It was called Summer, natch — “very apt for the weather we’ve had today”, they said themselves as they were introducing it. Elephant Sessions were, for some people, the band of the day. For some, they were even the band of the festival and the tent was absolutely bouncing during their blinder of a set. I’d missed Lucy Spraggan the night before and was really annoyed about it (and Tide Lines the night before). I am so glad that I didn’t miss these guys. There’s always a HebCelt discovery every year and this year Elephant Sessions were mine. They have a trad base to their music, what with fiddle an’ all, but they do have something different about them as well which, unless you are the absolute best of the purists, I think most bands need. That mark of uniqueness. I really like their electronica funk and Elephant Sessions can burn it up with the best of them. Reminded me of discovering Whisky Kiss in that same tent last year. Both bands can let it fly and that’s a delight. It’s also how to get a crowd really going. I’m not sure who would have been the band of the festival, for me. There were so many great acts and so many great moments. The biggest star was the sun — I don’t know when we’ll experience the likes of that Saturday again — but the whole thing seemed to pass in flash. Mike Scott was saying goodnight — “Thanks Stornoway, thanks Hebridean Celtic Festival. It’s been a pleasure playing for you again” — and I couldn’t believe the lights were about to come up and we were about to be out in the moonlight. Until next time. Top two pics by Paul McGinley courtesy of HebCelt. Above pic of James surveying the site on Monday is by me. On Monday, I took the kids out on their bikes in the Castle Grounds and we cycled past the site as they were packing up the tents. Michael whizzed past but James stopped to take a good look. Didn’t seem like a minute since we had cycling passed them setting up a week ago. It was hard to believe it was all over. Thank you, HebCelt 2017. You were terrific. This coverage of HebCelt has been supported by the festival. A big ‘thank you’ to festival director Caroline for engaging me to write about it. Thanks also to Alex Macdonald of An Lanntair for help with covering Between Islands. All views are, and have been, my own throughout. Thanks also to all the photographers whose pictures I was allowed to use – mainly Fiona Rennie, Colin and Josh Cameron and Paul McGinley. It’s been an absolute joy.